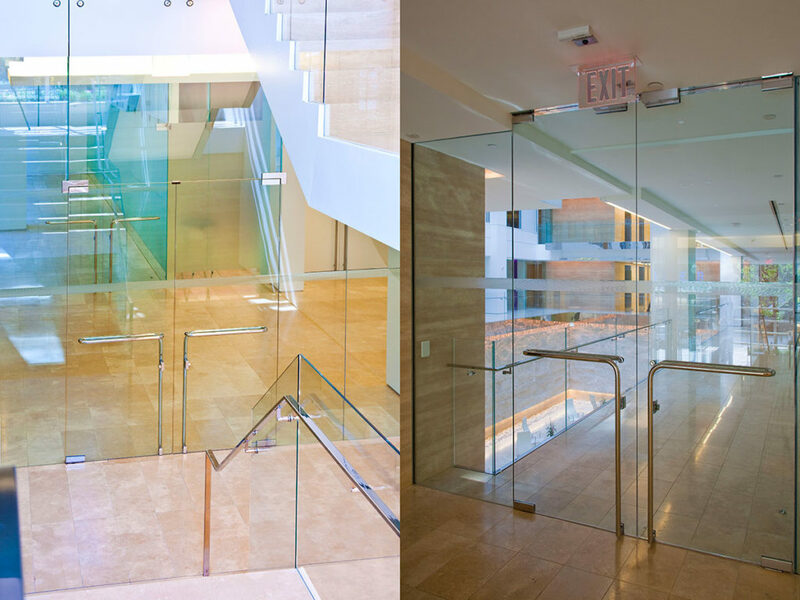 This was a nine-floor interior build-out with 20 different types of glass. 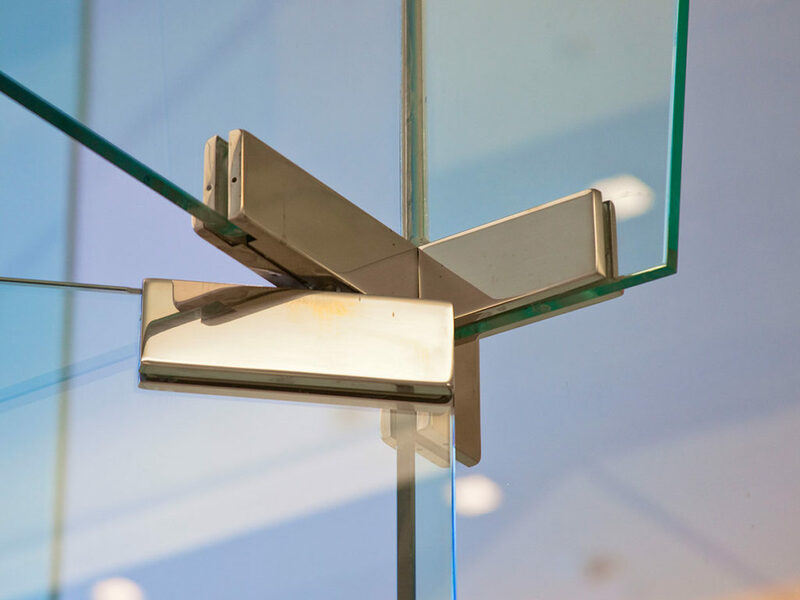 That would include doors and partition walls, bullet resistant glazing, oversized glass projection screens, back-painted glass wall cladding and specialty custom-laminated colored glass. This place is practically a Glass Palace. The doors alone were a challenge. 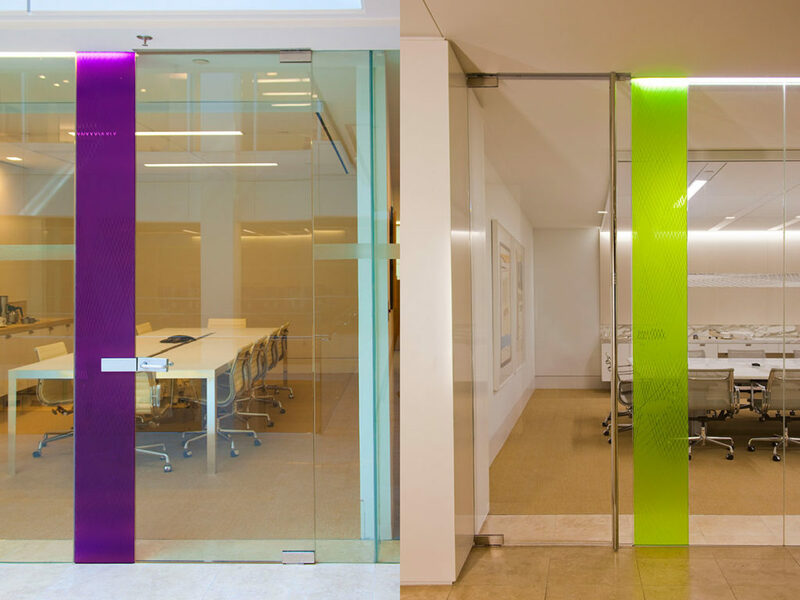 We’re talking doors with embedded bands of color and doors that swing both ways – which might be easy for wooden doors in an old-West saloon, but not so easy in a modern law firm office with glass doors. Sometimes, it’s like the architects are just testing us to see just how far we can go. Pretty far, it turns out. 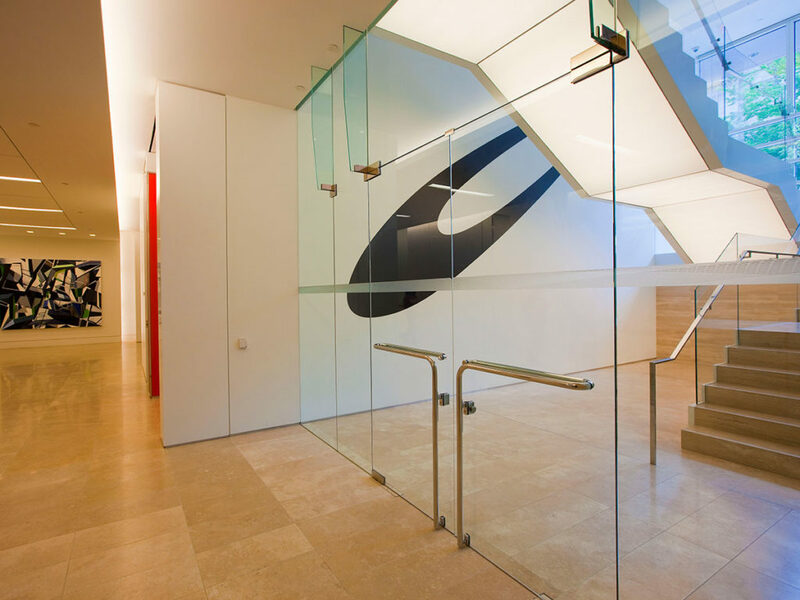 DLA Piper Law Firm, Washington, D.C.